Here are two images that created some controversy a few years ago: The first, of course, is the poster for the movie “Da Vinci Code,” based on Dan Brown’s best-selling novel. 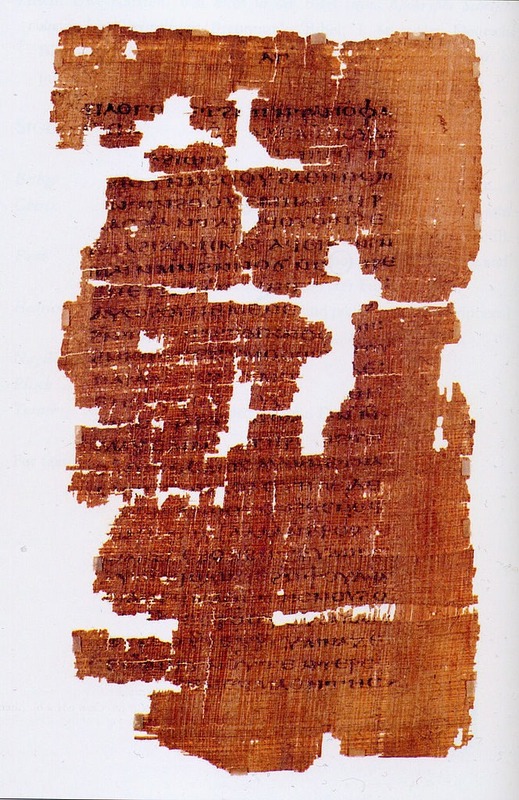 The second is a fragment of a 1,700-year old papyrus that some scholars claim is the last page of the “Gospel of Judas.” Dating back to 300 A.D., the fragment was discovered in the desert of Egypt. 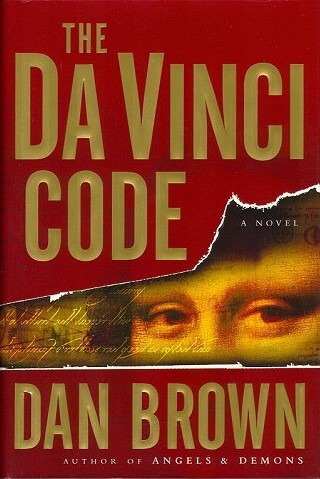 In 2006, the film “Da Vinci Code” and the National Geographic documentary on the “Gospel of Judas” were released almost one after the other–to the indignation of the Catholic Church. And why not? Both could be considered a blatant assault on the Catholic faith and the Catholic Church. Attack # 1: The “Da Vinci Code”–a work of fiction, lest we forget–claimed that the so-called “Holy Grail” referred not to the cup Jesus had used during the Last Supper, but to Mary Magdalene because she bore the children of Jesus. According to the movie, as well as the book on which it was based, the Church was involved in a grand conspiracy to make Jesus into someone more than he actually was–no more than a human prophet. Attack # 2: The “Gospel of Judas” portrayed Jesus as a being of pure spirit who wanted nothing more than to be liberated from his body and from the material world. Jesus allegedly ordered Judas to arrange for his arrest, asking him to be the agent of his death because he needed to, in his words, “sacrifice the man that clothes me.” What this means is that Jesus had to get rid of his mortal body to liberate the true spiritual self and divine being within him. For him, his body wasn’t really something that was part of his self; it was only an attire, a virtual costume. This is completely contrary to the teachings of the Church—that the “Word became flesh”–that he became truly human so that his body was very much part of who he was. So here we have two opposite and conflicting views about Jesus: On the one hand,the “Da Vinci Code” offers an all-too-human Christ who was nowhere near divine. The Da Vinci Christ was just another human prophet who taught well and got married and had children. On the extreme opposite end of the continuum, the “Gospel of Judas” portrays an all-too-divine Christ—one who is divine but not human—a Christ with almost a contempt for the human body and this world of ours, for whom his earthly life was no more than a costume party. Compared to these two extreme views, the Christ that the Church has preached all these centuries is a Christ who is both human and divine: He is God in every way, but also human in every way, with no allergy to anything material, to his body or to this world. On the contrary, he is a God who chose to join us in all our humanity. Out of love for us, this Christ freely embraced everything human. During his earthly life, he chose to have his divinity hidden from the world, perhaps even from himself, so that he could be totally human and embrace this world with all its sweat, all the blood, all the muck in order to transform it. Unfortunately, unlike scientific questions, questions of faith cannot be answered through empirical evidence. Religious truths deal with mystery, so they cannot be completely proven. In other words, it is literally a matter of faith, and this means that each one of us has to make a choice. Think about it, and think about it carefully because the Christ you choose will affect the way you look at God, the way you treat yourself, and the way you’ll live your life. Be careful the Christ you choose. Your choice can make a world of difference in your life–and your afterlife. Think about it, and share a thought, a feeling, or a question.